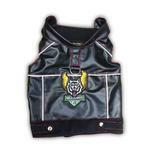 The Biker Vest Dog Harness by Doggles - Wild Dawgs is truly a pack favorite! 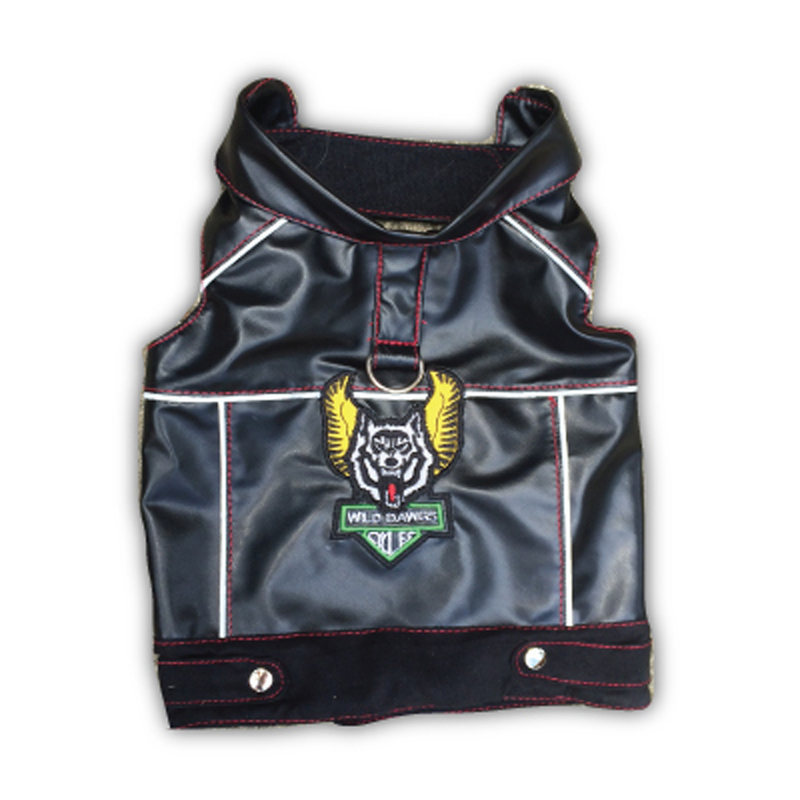 Show off your dog's bad boy side with the Biker Vest Dog Harness by Doggles - Wild Dawgs! Ideal for the little dog that has a large bad to the bone attitude! The black "leather" look gives this dog harness a dangerously cool look, along with Wild Dawgs patch to show off their pack pride. Check out other patch favorites! 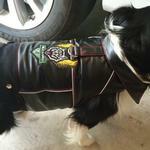 Biker Vest Dog Harness by Doggles - Wild Dawgs Customer Photos - Send us your photo! BUDDY JACOBS IS THE CUTEST AND MOST LOVING DOG IN THE WHOLE WIDE WORLD!!!! Posted On 09/26/17 by FWH from Western Tidewater , VA Yes, FWH recommends this product! Great way for my sweet tiny dog to look fierce. A biker cap sets the look off. Well made and sturdy. This is the perfect winter jacket for your male dog. Tough guy look, sturdy, well made, good fit. Posted On 03/20/17 by Mary S from , CA Yes, Mary S recommends this product! This little vest has attitude! So cute on and brings on the smiles of people who see my pup! Great service. Great website too!